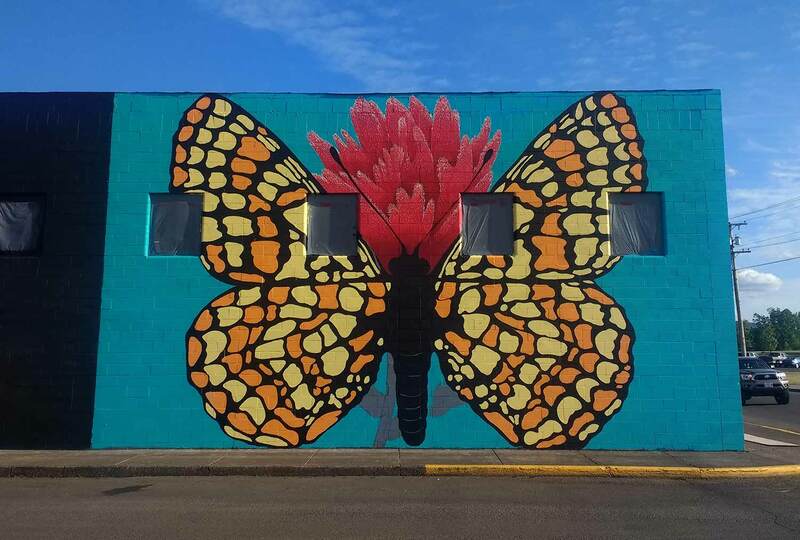 If you happen to be in Cottage Grove, Oregon this Friday the 29th of June 2018, please come out to the corner of 10th and Washington to celebrate the new Endangered Species mural- the fifteenth in the project, featuring the Taylor’s Checkerspot! This beautiful small butterfly was once found in prairies throughout the Willamette Valley and beyond, but due to land conversion and habitat destruction it is now much reduced and direly at risk of extinction. What we seen vanishing defines us, so please come celebrate the smaller things whose world this is as well.